All my app are DevTools-related, when you like and use them, follow me (@iosxtools) and tweet about them! you can also email iosxtools at gmail. We are determined to develop the best iOS/OSX tools for developers. 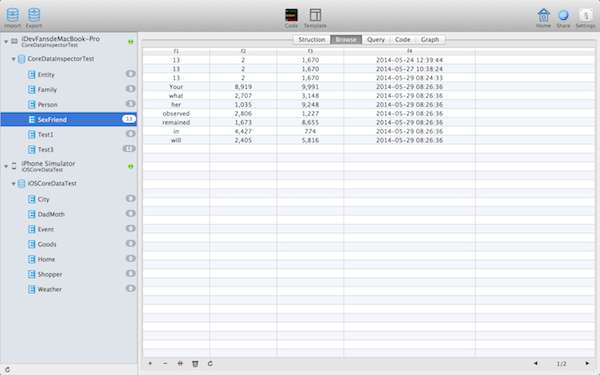 The Most Powerful SQLite Tools for iOS/OSX developers. Basic table Admin,Multi-Database Admin,Probe SQLite DataBase in Device/Simulator,SQLite CURD Objc Code auto generation based FMDB,iCoud storage, Create a table in various ways , Magic test data generation,Data import/export,ext. A Ployglot Database(MySQL,PostgreSQL,SQLite) Admin Tools to access Database Table, Browse/Query Data. 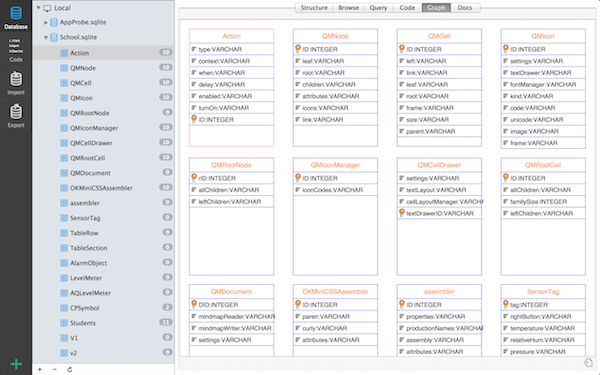 A NoSQL Database OSX Client. Create/Remove Admin/Browse Key So Easily,double-click row to edit key value. AutoLogin,bookmark your server host & port. Inline Console support redis all command. 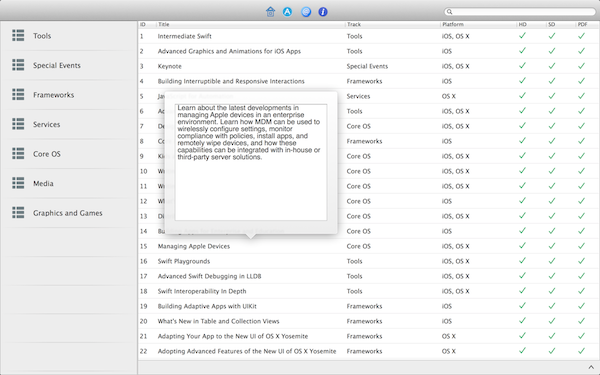 App Fast Translate & Localization Tools For iOS/OSX Developers. Based your Xcode Localizable.strings(base or en), generate other mainstream languages in the world automatically. Export strings files for validate.